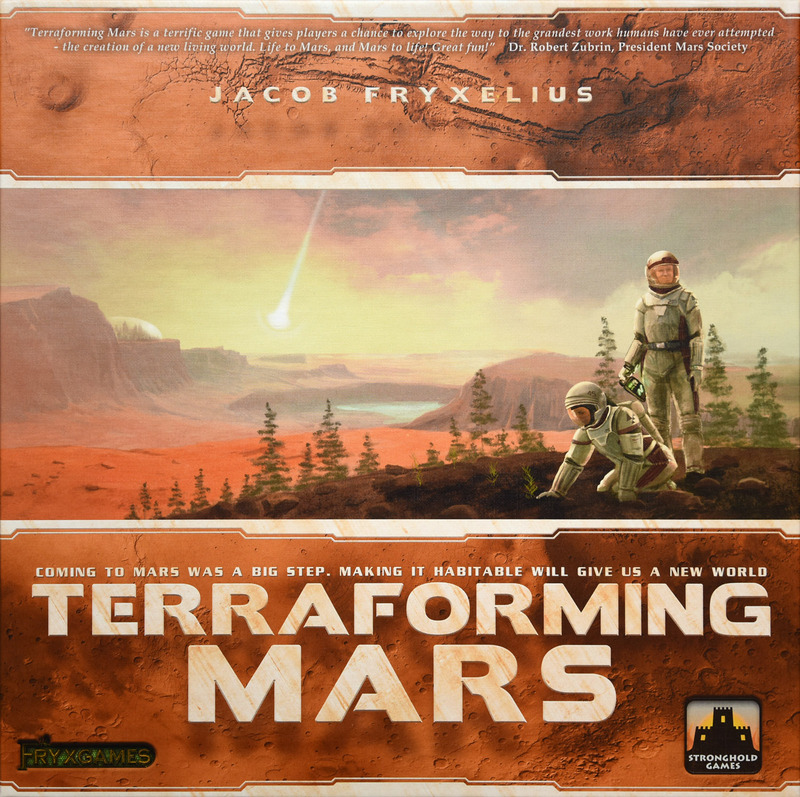 TL;DR: Terraforming Mars game mechanics are exceptional but it desperately needs a second edition to do a complete art design overhaul, new play mats (similar to Scythe), rules/guidebook re-write, and improve overall quality of the product. The biggest issue I have with the game is that the art design is really bad, it’s as if the game designer had provisioned multiple artists and had a deadline of 2 weeks. I’m serious AF when I say this. I thought the design was intentional , i.e. retro cheesy science mix, but after our first game I noticed a lot of layout errors that would be caught during review. If you have TM a good example of this is the margin spacing on the instructional cards (which is inconsistent between cards and left/right of some cards). Speaking of instructions — I want to applaud the person that can read the guide and fully understand how the game works without any help (YouTube or friends). The guidebook needs a re-write with an easier way to reference common mechanics of the game. It just seems to me that the overall quality wasn’t a priority for the release, almost as if this was a beta testers edition to test the mechanics. The play mats (and the cards) are fairly low quality glossy paper, and any slight bump of the table or the play mats you’ll be asking to yourself “where were these cubes exactly?”. It’s no wonder I see a lot of alternative play mats for TM. Again, the vibe of Terraforming Mars is a beta release stands out as soon as you open the box. Everything is simply thrown in baggies, there are no dividers. With this game having tons of cards the expectation is at least a card tray in the box. It’s no wonder (again) there are a lot of organizers for TM. I know, I know, this is all superficial and that’s why with all these quality issues I still see it being an excellent game. One that I highly recommend playing. After playing for a bit you will notice how well thought out everything is; which allows for you as a player to be fully engrossed in terraforming mars. Are you ok with paying $20 more for the game? Increases to production quality come with increased cost. Not at this point, I would have if I purchased it for $30 (like a lot of other people were able to) but I paid $55 at the end of last year.